Effective planning is crucial to successful project management. However, it can be difficult to turn strategic plans and goals into action – so much so that many projects, across all industries, often fail because of gaps between vision and execution. A good implementation plan can ensure a project’s success by bridging those gaps and providing the right tactics to turn strategy into palpable, actionable tasks. The project implementation plan template is a native PowerPoint slide designed to help project managers and team leaders create clear tactical plans effortlessly. 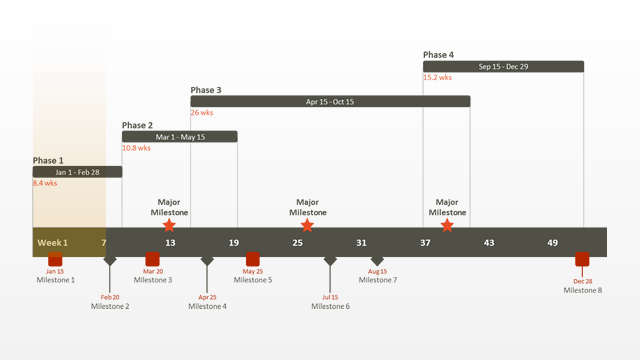 Built as a visual timeline, it provides a bird’s eye view of the entire project and can be easier to follow than the conventional grid format used for implementation documents. This makes the graphic a good tool not only for internal communications, but also for presenting the plan to management, clients or other non-project audiences, who may find it tedious to read through data-rich spreadsheets to understand where the project is going. Project managers can use the project implementation template to help all team members quickly see what they are expected to deliver, when, and what steps and tasks they need to complete, thus minimizing delays caused by miscommunication. 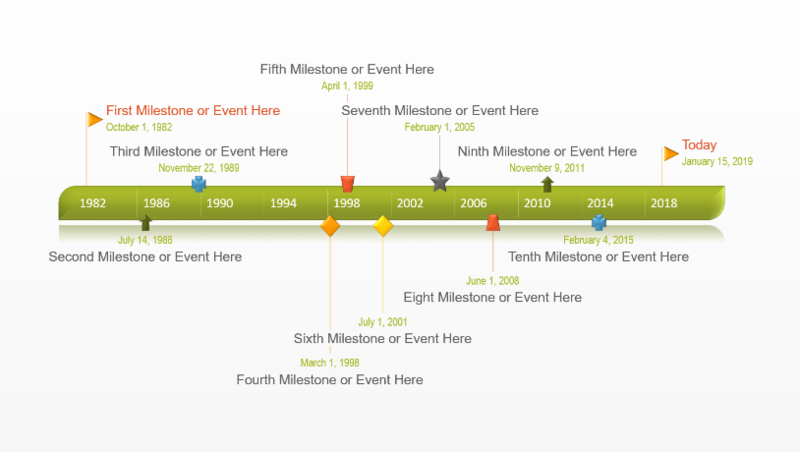 In addition, the timeline can be used to show relationships between activities, track individual task progress as the project moves forward, or identify at-risk tasks. 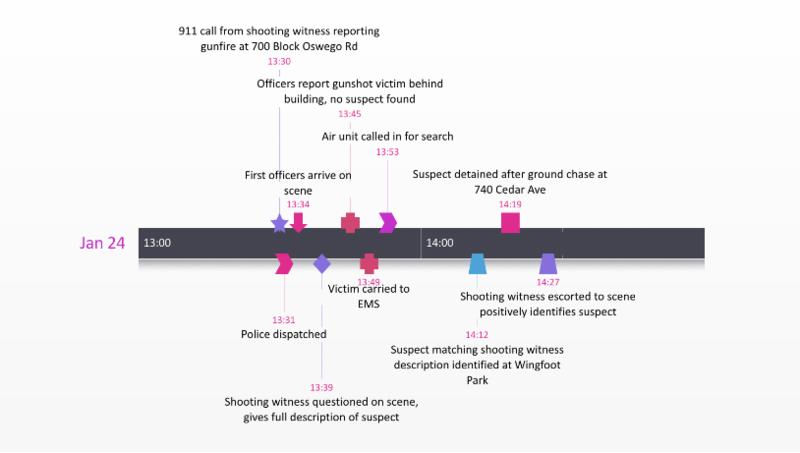 Place at-risk activities above the graphic’s timeband, while keeping the rest of them below it. This way, the tasks that need special attention will instantly stand out. 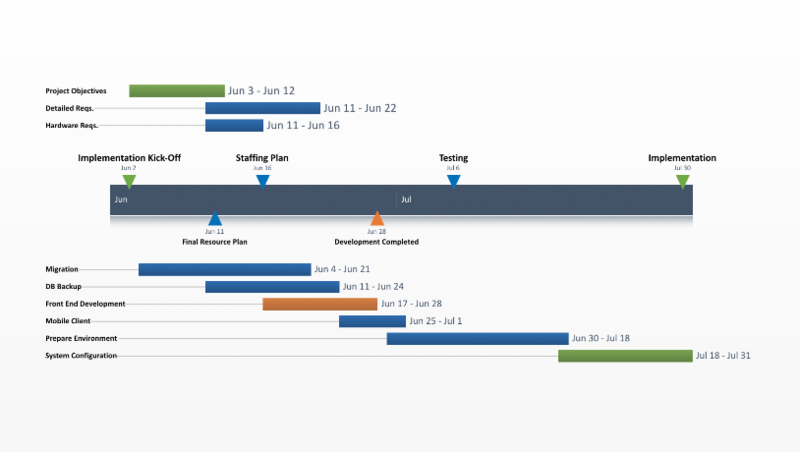 Move related tasks on a single horizontal line to show work streams or illustrate which tasks are assigned to which team. Change date formats for uncertain tasks or milestones so that they show only the month and year, not the specific day they should be completed. 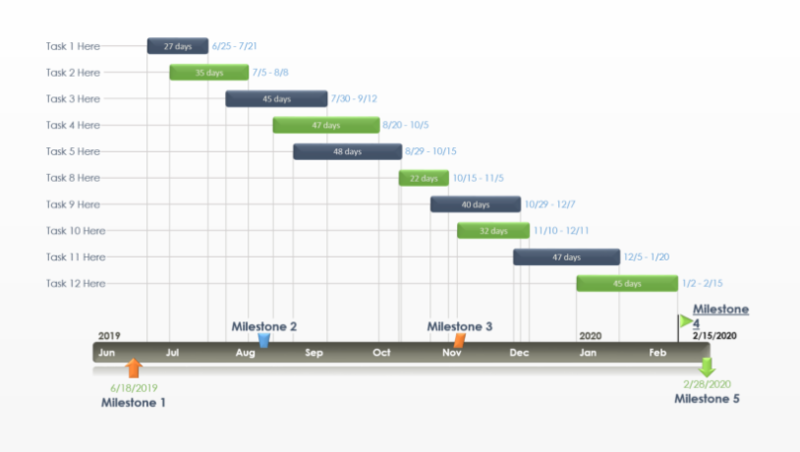 Experienced project managers often include only a rough timeline in the implementation plan and set the detailed schedule in the execution plan. Professionals can manually customize the template in PowerPoint to replace the placeholder texts with their own data, make design changes such as the ones above, or restyle any colors, shapes, and positions. Alternatively, they can use a PowerPoint add-in called Office Timeline to edit the visual automatically. Office Timeline Plus integrates with MS Project, Excel and other project management tools, and it can instantly pull existing data from these applications right into the implementation plan template, enabling professionals to quickly turn rough data into impressive project visuals.